If you value something your life you will put time and effort into it. An artist values art he spends time an effort in art. He studies the greats. He learns what colors go well together. he spends time doing his own art. I have a friends who is an artist she loves it. If she is sad she starts a project. And if she is happy she starts a project. To her almost anything she does is art. We renovated an old trailer. To her it was an art project. She even got inspiration for other projects from that one project. On time i remember my Artist friend had to taka scraper to her panting because it had gotten a flaw in it i can’t remember if it was a pebble or it is was just an air bubble but either way she had to destroy her beautiful painting to make it right. Once she had taken the problem out she saw new possibilities for the painting. Even though first version of the art was beautiful and breathtaking in its own. And yet the the new one had a beauty as well. Seeing the new version you would have no idea there was a change from it original beauty. 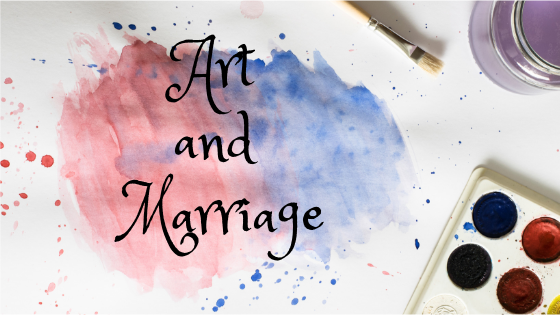 Marriage is a lot like art and the artist. If you put value on it then you will want to put time into it. I don’t know if that is a saying that someone should be credited for but it is certainly true. You can not paint the most awe inspiring and breathtaking artwork with your first brush stroke ever. Same as with marriage. You need to cultivate your marriage to turn it into a great work of art.